India is considered one of the most unique culinary backgrounds in the world. 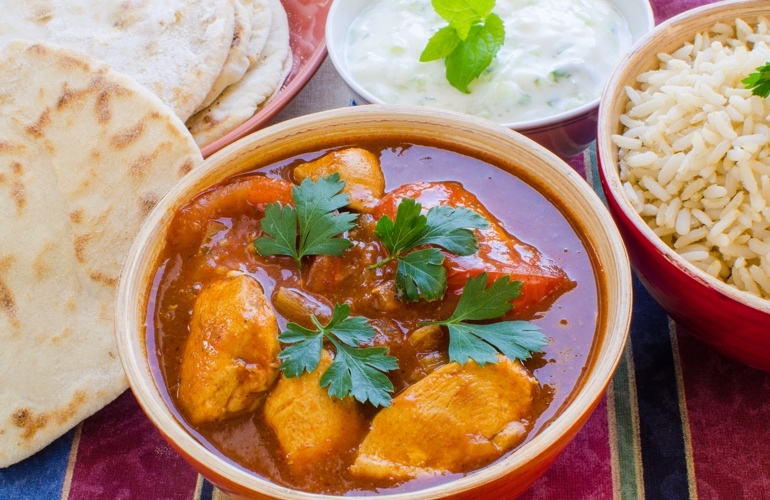 The characteristics of Indian cuisine are first reflected in the harmonious combination of spices. Each region of India uses a different spice. In particular, the way of eating by hand has made the India’s cuisine authentic. Eating with their hands has greatly influenced the way the Indian ingredients are processed and used in every dish. 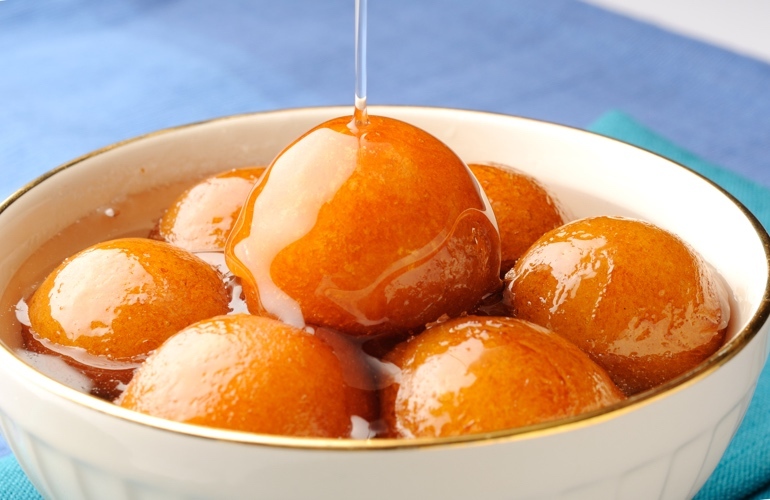 Gulab Jamun is a dessert normally eaten at festivals, birthdays or major celebrations in India. It is made from milk solids which are prepared by heating milk over a low flame for a long time until most of the water content has evaporated, then it is kneaded into dough and shaped into small balls to be finally fried. These balls are rolled over the syrup flavored with rose water, saffron or some herbs. Rogan Josh is a famous dish of the western of India. It is made from lamb or mutton braised with a gravy flavoured with garlic, ginger and aromatic spices (cloves, bay leaves, cardamom, and cinnamon). The attraction for this dish is the lamb marinated with Kashmir peppers and the extract of cockscomb flower which creates a red beautiful color for the dish. This is a very interesting dessert of Indian people. The hollowed-out pieces of bread stuffed with peas and mashed potatoes are fried until golden. With crispy crust pie and served with sweet and sour sauce, it will be an impeccable dessert for you! 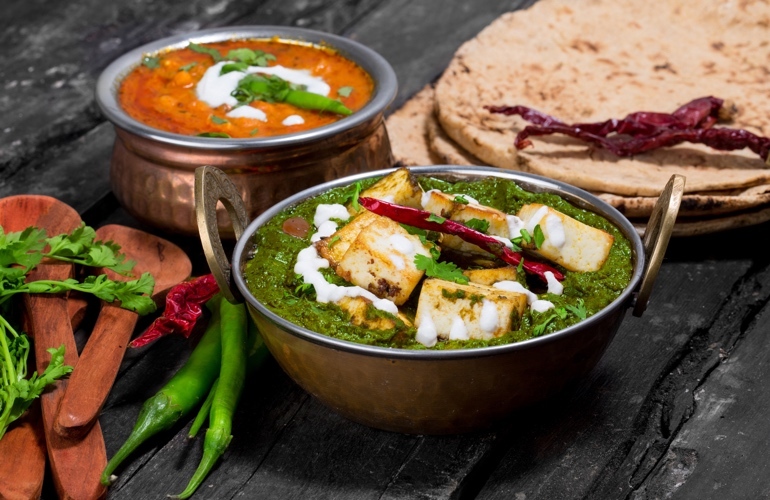 Palak Paneer is a North Indian cuisine dish which is the mixture of spinach and Indian cheese with garlic and Garam masala powder. Being a popular vegetarian and extreme healthy dish, the fresh green color of spinach will draw attention. The combination of spinach and cheese is not only highly nutritious but is a fantastic blend of taste. 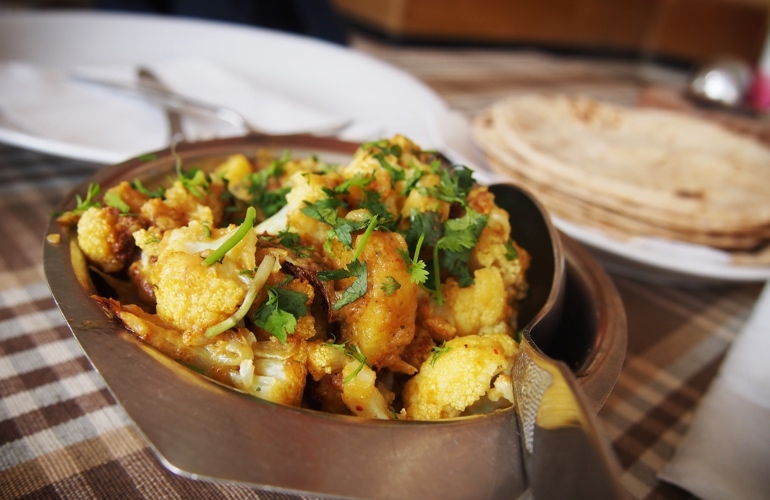 Being one of the Indian traditional dishes, Aloo Gobi is a vegetarian dish made from potatoes, cauliflower, Indian spices, garlic, ginger, onion, and coriander. This dish has an attractive yellow color due to the use of turmeric and curry leaves. 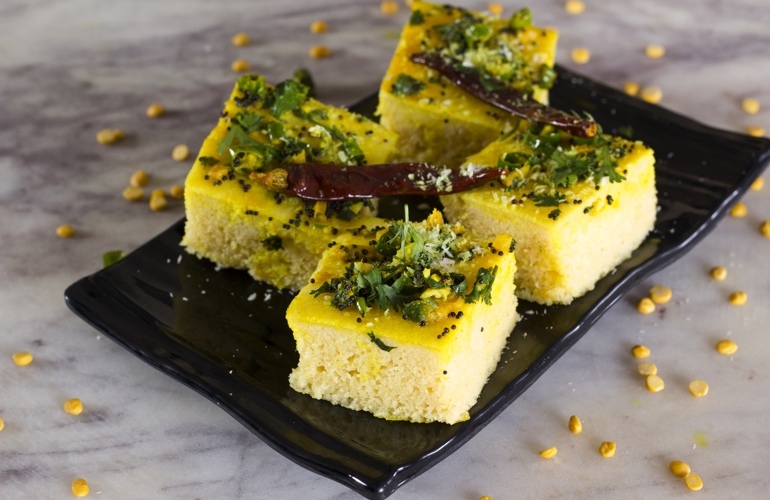 Dhokla is made from chickpeas and rice, and also adds a few spices such as ginger, chili powder, and soda powder. To make this dish, the ingredients must be soaked overnight to ensure the softness and tastiness, and then the batter is cooked into a block and in the end cut into small pieces. Kheer (known also as Khir) is an Indian rice pudding and one of the India’s favorite desserts. 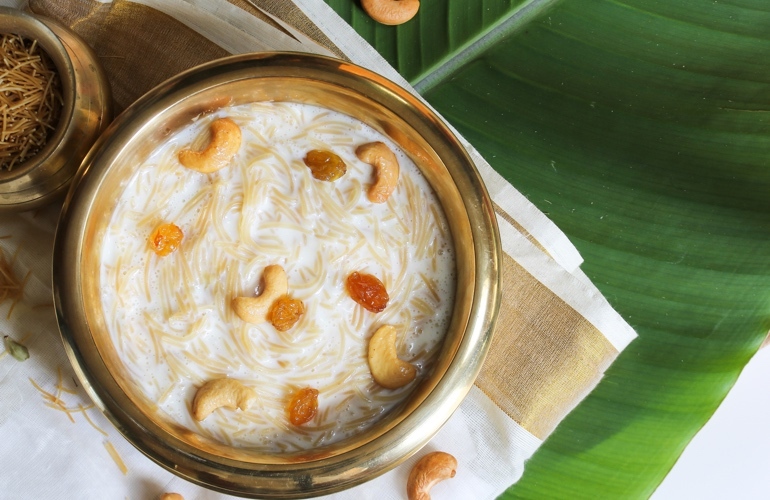 Made from rice pudding cooked with rice, milk, and sugar, flavored with cardamom and saffron and decorated with nuts, Kheer is an essential dish in many Hindu and Muslim feasts and celebrations. It could be eaten hot or chilled, and you can enjoy it at any time of the year. 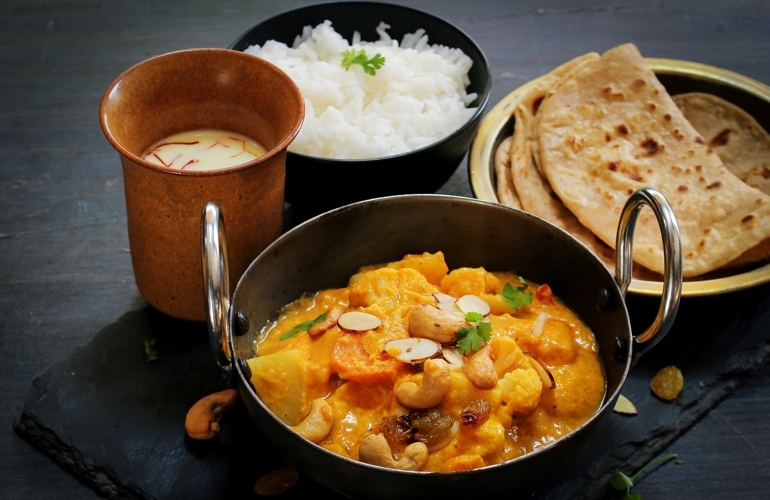 Navratan korma is another popular Indian dish made with cheese. Made from nine different fruits, vegetables and nuts. The dish is made by combining cashews, carrots, cauliflowers, beans, potatoes, peas, chiles, mushrooms and raisins with a variety of herbs, spices and paneer. It is often served with white rice or bread. 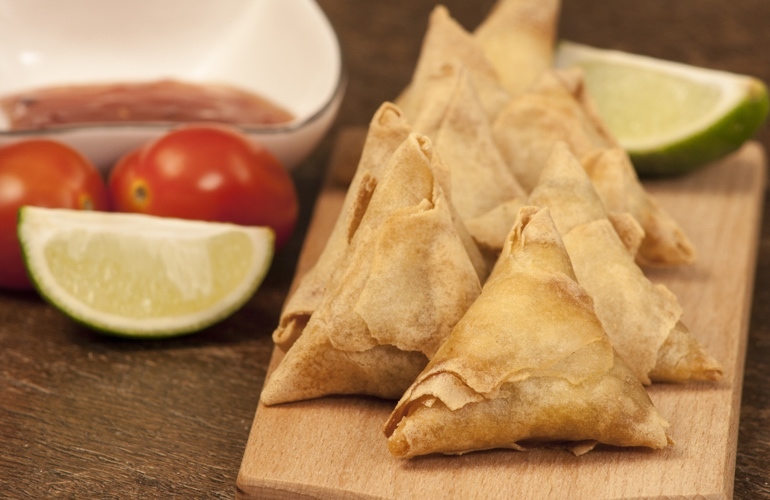 Samosa is a traditional Indian family dish, it can be fried or baked and eaten with chili sauce. This dish is served anywhere and anytime. Its shape can be triangular, tetrahedral or semicircular; it depends on the way it is cooked. And it is made from lentils, potatoes, minced meat, peas and onions. 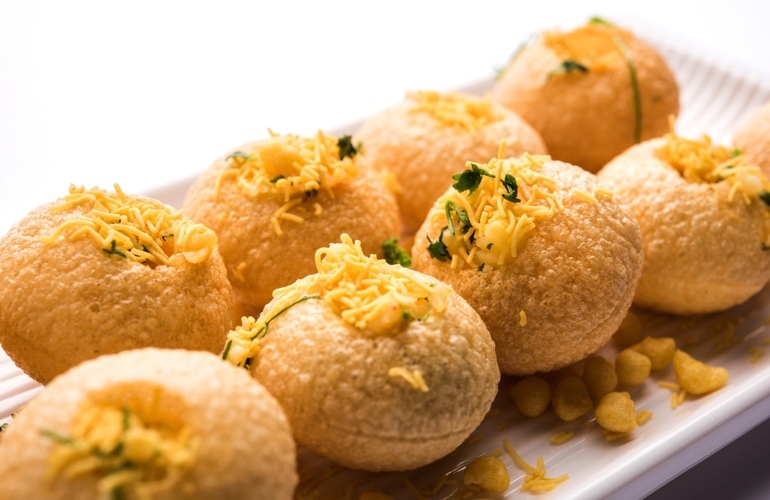 This is a very popular snack in India!